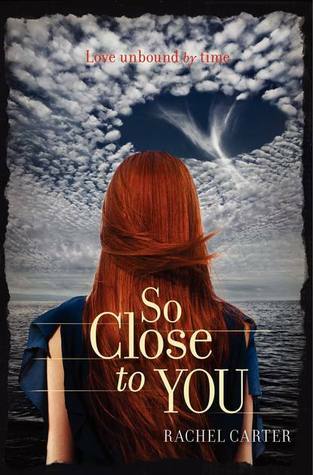 So Close to You is the debut novel of young adult author, Rachel Carter. It is about a young girl, Lydia Bentley, and her search for answers about the Montauk Project and Camp Hero. Rachel Carter's World-Weaving in the story is quite lovely, and I had no problem believing the parts of the book that were set in the 1940s. I thought Ms. Carter captured the essence of that time period (as I think of it) and portrayed the atmosphere of a country at war convincingly. She even included pop culture references from that era that teens may be excited to recognize. However, I found the characters in the "world" (both 1944 and 2012) to be a bit two-dimensional, but that is not to say there is no beauty in a flat image. Lydia Bentley is the only one with substance, but she has a bit of a one-track mind. She offered no surprises or growth (not that there is much point for it in the story). I won't even get started on the instalove. So Close to You will be enjoyed by any reader who likes a little time travel with their romance and doesn't want to do any heavy lifting, plot-wise. I also think it will appeal to sci-fi and contemporary readers alike, as long as they don't go in looking for too much of one of those genres. It really is a unique young adult novel, and the characters are a lot of fun. It is also a shame that Michael Crichton and Ray Bradbury made my time travel standards so high. While not for me, I have no doubt that many readers will find much to enjoy in the book. Be sure to add it to your TBR list on Goodreads, too! To satisfy FTC guidelines, I am disclosing that I received the book for reviewing purposes as a part of a DAC ARC Tour in exchange for an honest review. The book was likely provided to the tour either by the publisher or author, which has had no effect on the outcome. All opinions expressed are honest and my own. 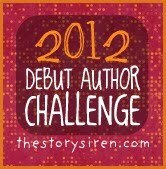 This book counts toward my completion of the Debut Author Challenge hosted by The Story Siren. I've been eying this one for a while, not sure whether I should go for it or not. I'm now thinking no. I tend to be really picky about time travel stuff, because, even though authors can explain it by just saying that's in the past so it already happened so it's all copacetic, they don't and they change the past but not the future or stupid stuff like that. UGH. Plus, INSTALOVE. WHY AUTHORS, WHY? I didn't realize that I was this picky about time travel until I read this one. I mean it wasn't bad - I'm just a time travel snob. I even got irritated with Heinlein in one of his books, and I lurve him. *shrugs* I may give the next one a try and see how it goes.